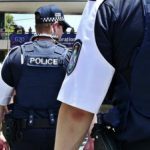 A Queensland Police Service (QPS) employee has been arrested and charged after allegedly stealing weapons from a police storage facility and stockpiling them in his Brisbane home. The actions of the 33-year old man were allegedly uncovered when he called an ambulance after accidentally shooting himself in the hand while cleaning a gun. The man worked at the QPS gun storage facility and his role was to keep an inventory of more than 900 weapons seized by the QPS each year. Police found eight firearms inside his home, including “a semiautomatic and two glocks”. 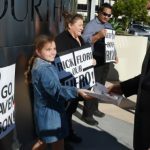 He will face Brisbane Magistrate’s Court on May 2. 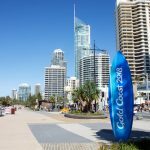 In a separate incident, the head of Gold Coast’s Police Dog Squad has been stood down pending investigations into allegations he, “failed to treat co-workers with respect and dignity and in a reasonable, equitable and fair manner, failed to properly deal with property and failed to demonstrate high standards of professional integrity and honesty”. 56-year old sergeant Gary Hamrey received a bravery award last year after he was shot in the face while chasing a man who had allegedly held 15 people hostage during an armed robbery at Arundel Tavern on the Gold Coast. Despite being shot through the cheek and jaw, sergeant Hamrey managed to shine his torch on the assailant enabling another officer to return fire and eventually make an arrest. According to media statements, Hamrey’s first concern upon awaking in hospital was for the welfare of his police dog. 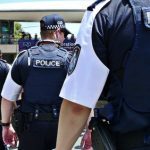 The QPS has advised that the sergeant will be undertaking a non-operational duties while an internal investigation into the bullying claims takes place. 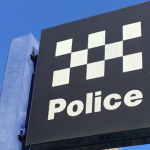 “In keeping with our commitment to high standards of behaviour, transparency and accountability, we have undertaken to inform the public when an officer faces serious allegations of misconduct”, a QPS statement read. 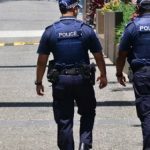 Meanwhile, Queensland police are gearing up for what’s been billed as the biggest security operation in the state’s history, with the start of the Commonwealth Games just days away. Despite there being no specific threat, police say they are well-prepared for any emergency. Drone guns are already in use as an “air control measure” to disrupt the use of drones during the event. Along with police officers, about 1900 defence force personnel will be deployed on land and in the waterways. Police have also been given special powers to stop, search and detain anyone they please.